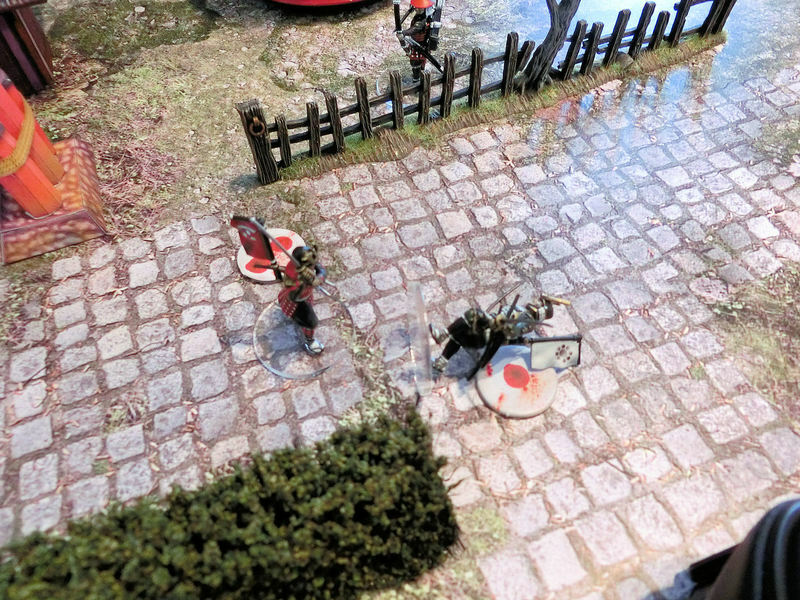 The introduction scenario for Test of Honour is a small-scale skirmish, with only 6 models per side. 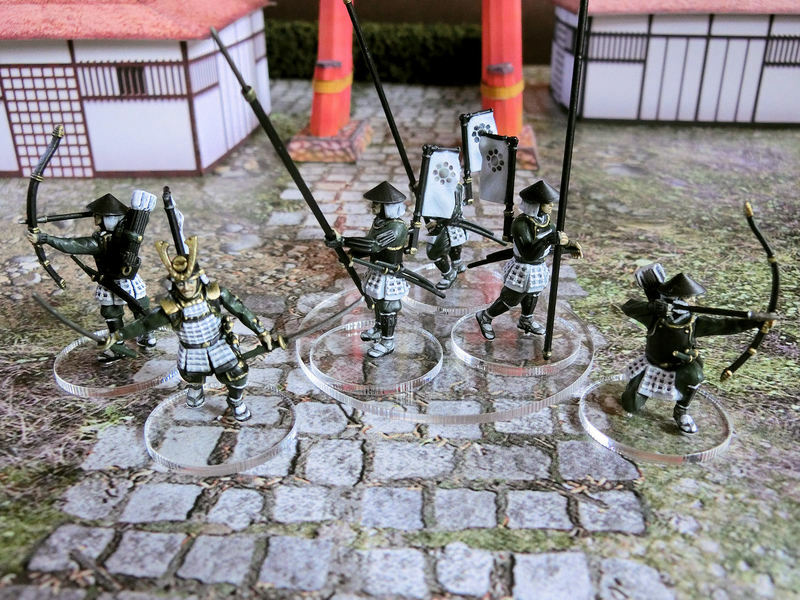 Two samurai from rival clans (and their commoner retinues) have decided to stop and pray at the roadside shrine. Unfortunately they've both come on the same morning, and things get ugly quickly. 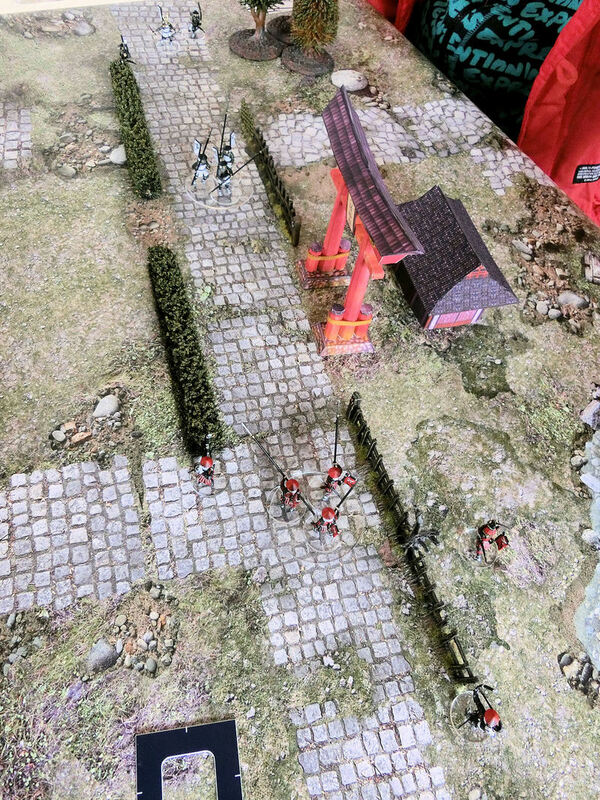 ▲ Ross's forces (in red) march straight up the road to the shrine, shouting insults at their hated rivals, while their archers quickly duck behind fences to try sharpshooting Makoto's spearmen. 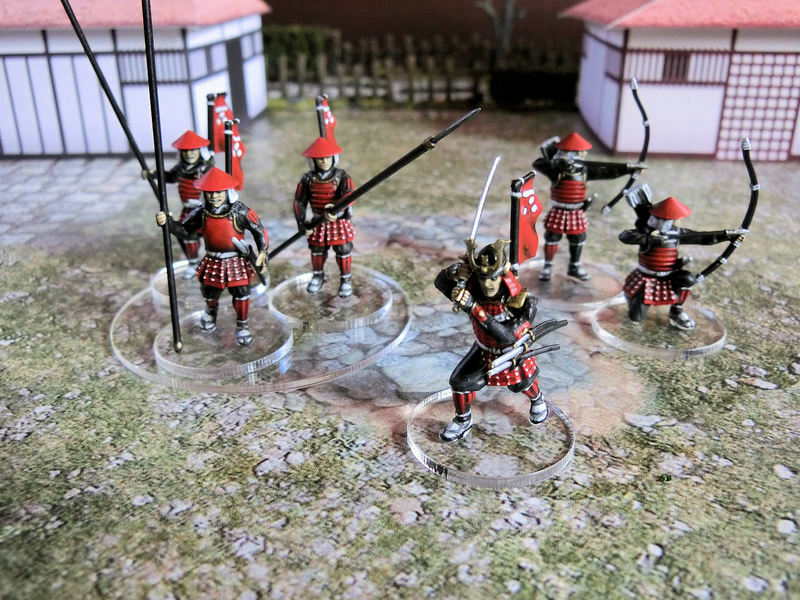 ▲　Although Ross's spearmen and samurai boldly charge at the enemy spearmen (white), they fail to cut any down. 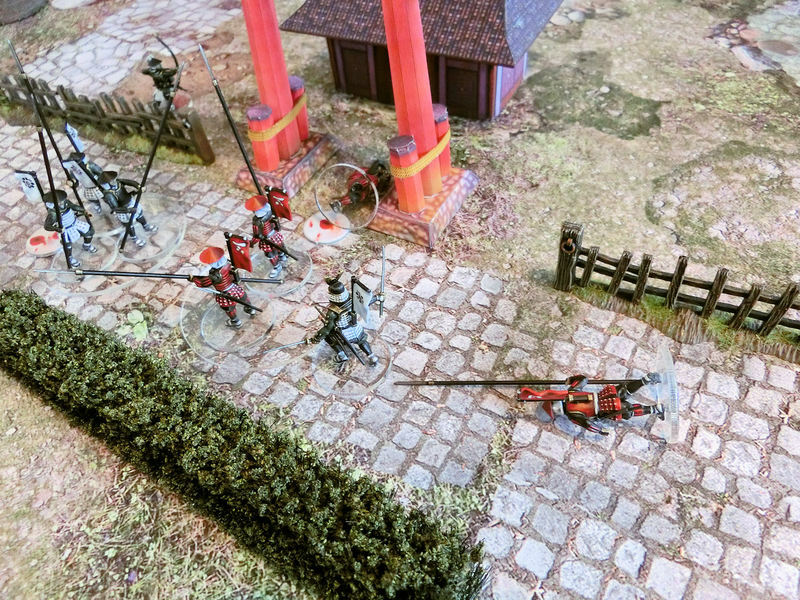 Even worse, the red samurai hero fumbles his attacks and trips over the pillars of the torii gate. 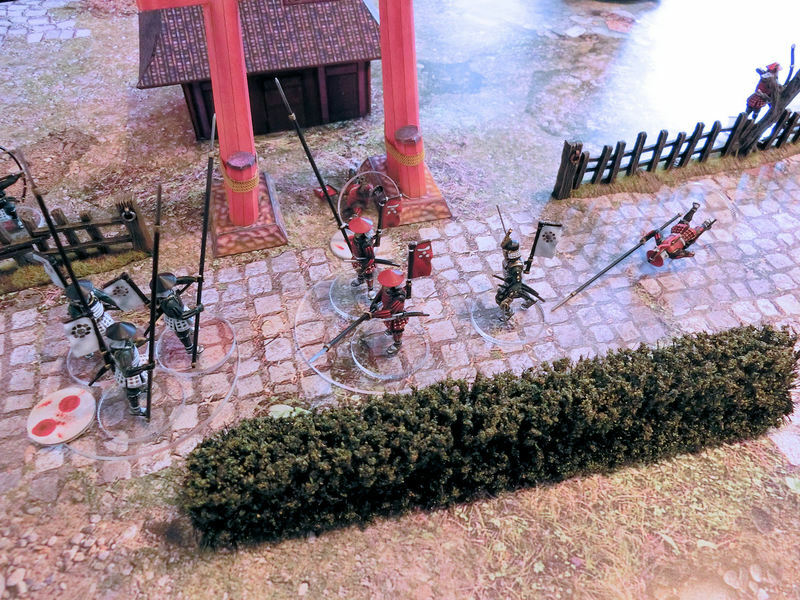 ▲ With his samurai (red) leaping to his feet, Ross charged him into Makoto's hero (white), looking for a quick kill. An epic back-and-forth swordfight ensued for several turns, with neither quite able to gain the upper hand. Makoto's hero forced Ross's hero back, but was distracted from the deathstroke by arrows shot from behind the fence. It was then that Ross revealed his true colours! Grabbing a handful of dirt from the floor, his samurai threw it into the face of Makoto's hero and finally cut him down while he was blinded! Such dishonour!!! ▲ I think this was about the moment when Ross's samurai hero fumbled his attack dice and tripped over! A truly brilliant game! 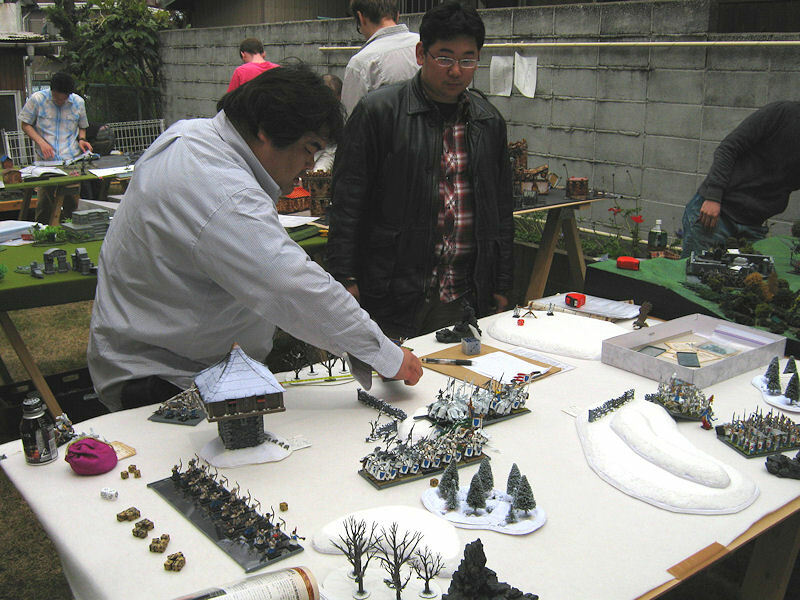 We played this scenario a total of 4 times that day (each game is about 40 minutes or so), and everybody loved the excitement and speed of the game. The final samurai showdowns were always awesome moments, and people enjoyed being able to follow the action without rules checks slowing things down. Thoroughly recommended! Test of Honour is that fast paced, easy to pick up game that is great between the more lengthy and calculative battles of 40k. Great fun! 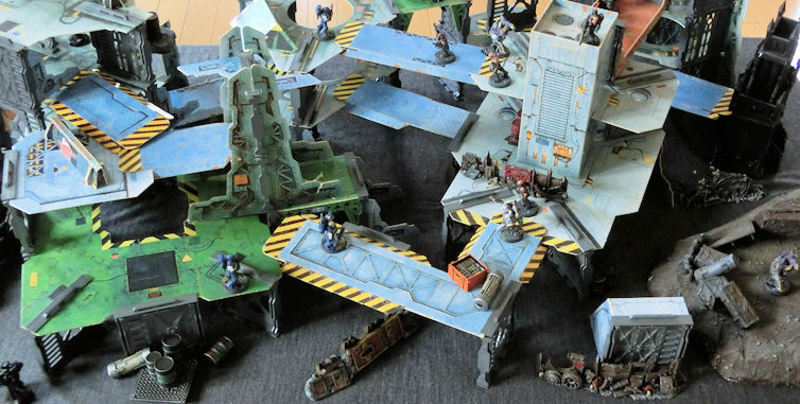 Thank you for sharing your experience of this scenario with us, it reads like it was a lot of fun! 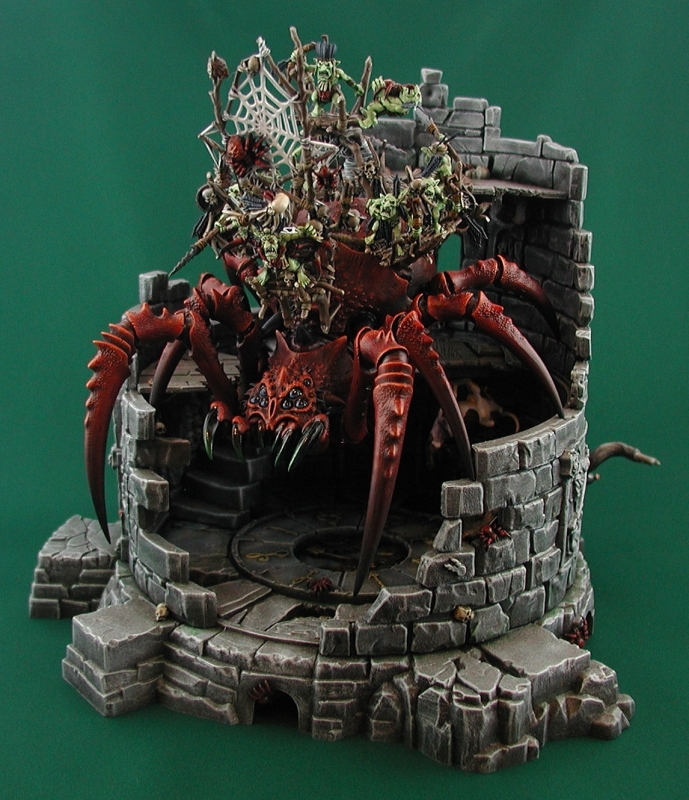 I really like your set up and the clear bases - I think I will have to try this. 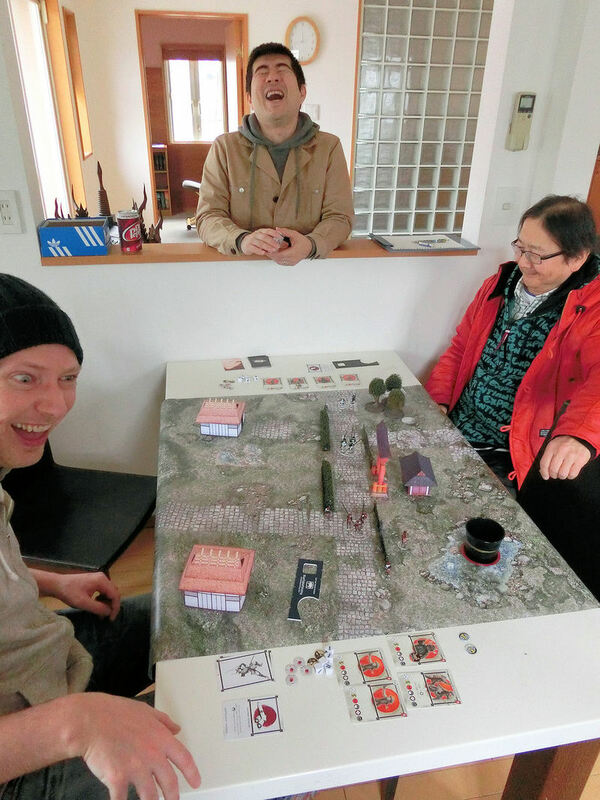 It was our first try of the game, and everybody loved it so much we've actually played that scenario 9 times so far!